Most of the Software applications like Kaspersky Antivirus ,Microsoft Office ,NOD32 , Norton ,IDM ,the current beta version of Windows 7 etc. use trial versions as an option for customers to try their products before proceeding to purchase . 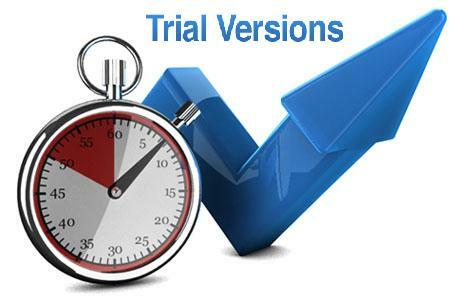 These trial versions will work for a predefined time and will get expired after the predefined time . We will need to purchase a license key to extend trial version softwares forever . Trial depends on the type of the application . Some of them creates registry entries and on each day the predefined count will decrease to expiry date . Sometime its possible to extend these trial versions by deleting registry entries or changing system clock time . But many applications are stealth against process as they set some files on unknown directories to process trial periods . Its necessary to buy the product if you would like to continue using it with out limitation .But these tips would additionally help you to judge the trial or demo application for few additional days . 1. Re installation of application sometimes helps to extend or reset trial period of old .NET based applications .But this will not work with new age applications . 2. Install applications with future date and then change the dates to original one .This method will work for resetting trial period of few demo applications . 3. Monitor registry and file changes made by trial softwares : Get a registry watch application and note down the registry keys and files created by trial software . Delete those entries and reinstall the application after trial expiration . 4. Use trial resetter application : Trial resetter applications reset the registry entries during Windows boot time .So the trial software keeps extended for unlimited period of time . Time stopper : Time stopper is a trial resetter application for Windows softwares . You can select to browse the executable file of the target trial application from program files and create a new shortcut icon on desktop . This application will then will bypass the trial limitation for another few days as per options chosen . Note : We scanned this application with our antivirus software using latest definitions .However we cannot guarantee that its malware free . We advice everyone to purchase original versions of softwares to avoid these limitations and risk associated with cracked applications and trial extenders . trial reseters for the anti virus softwares specially for the kaspersky lab products are a trojan programme so its better to reset their trial period manually……………….